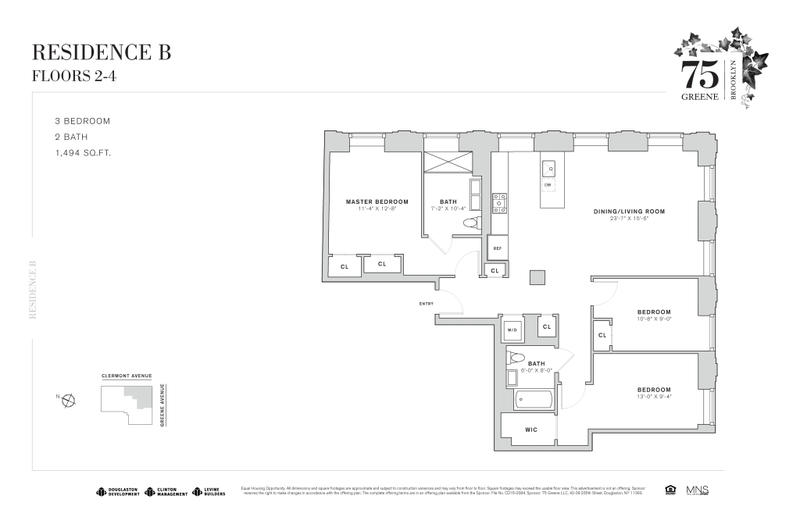 Residence 3B is a sunlit, corner home that spans 1,494 SF and boasts three bedrooms, two bathrooms, and two exposures. 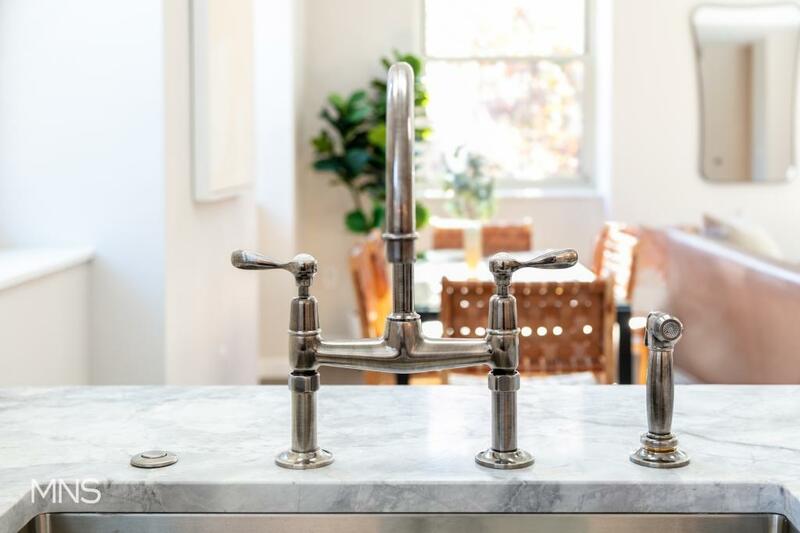 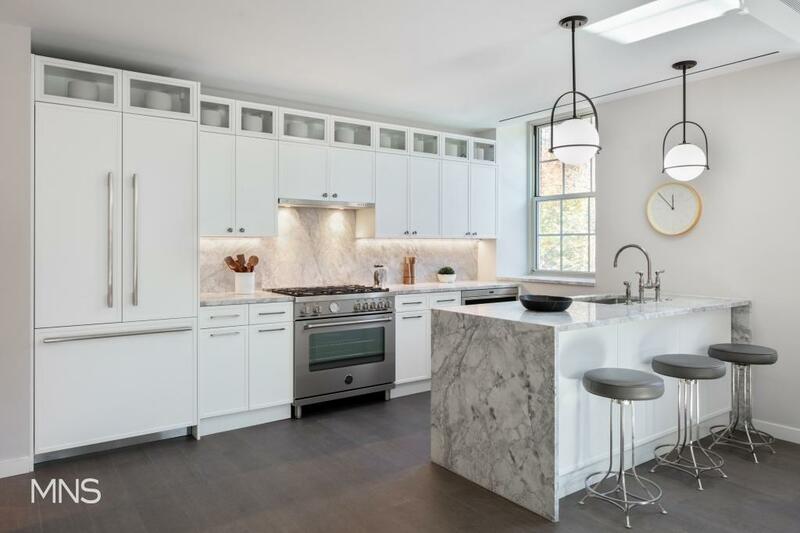 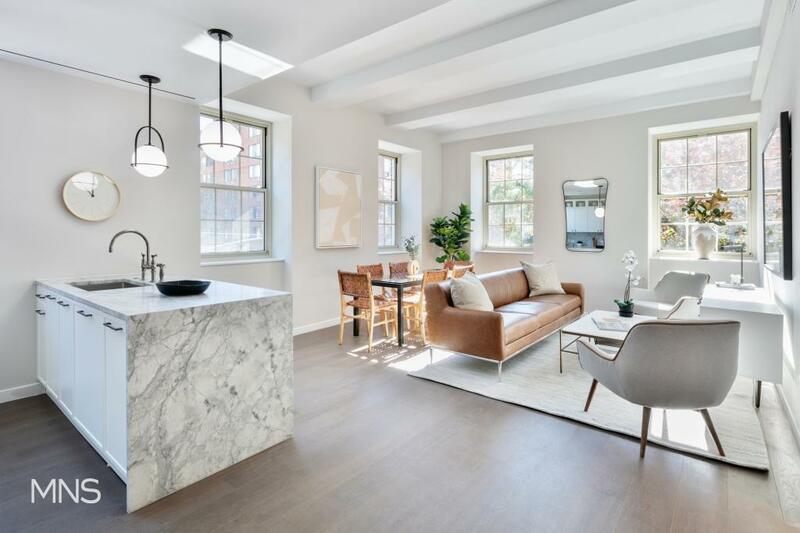 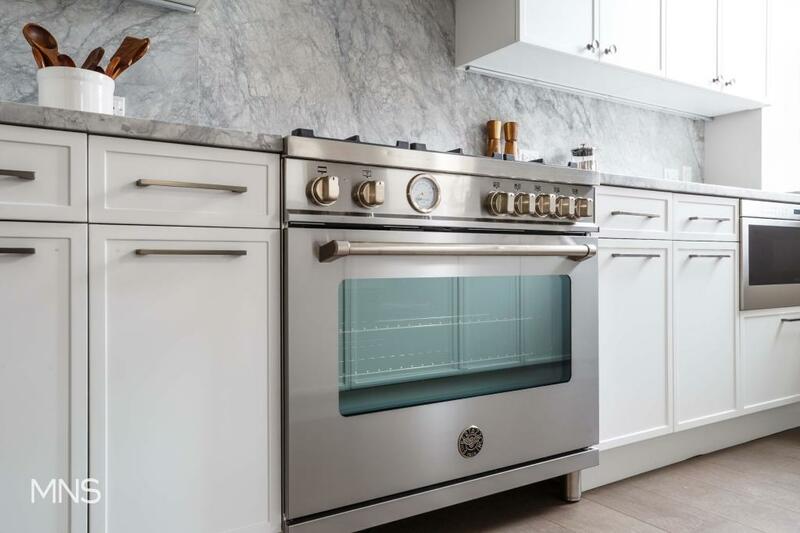 The residence offers an open floor plan with a large living and dining room and a meticulously designed chef’s grade kitchen that feature a Bertazzoni range and Bosch stainless steel appliances. 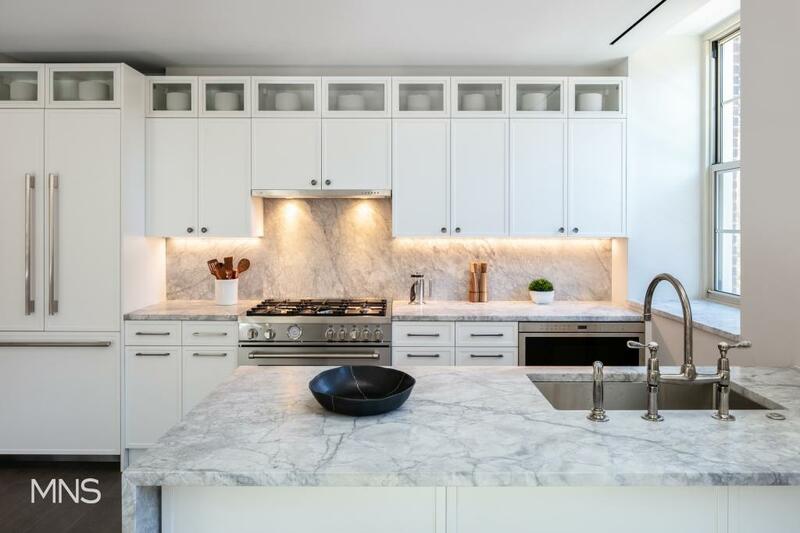 The full slab Dolomite marble countertop with waterfall detail complement Waterworks fixtures and Hinkley lighting. 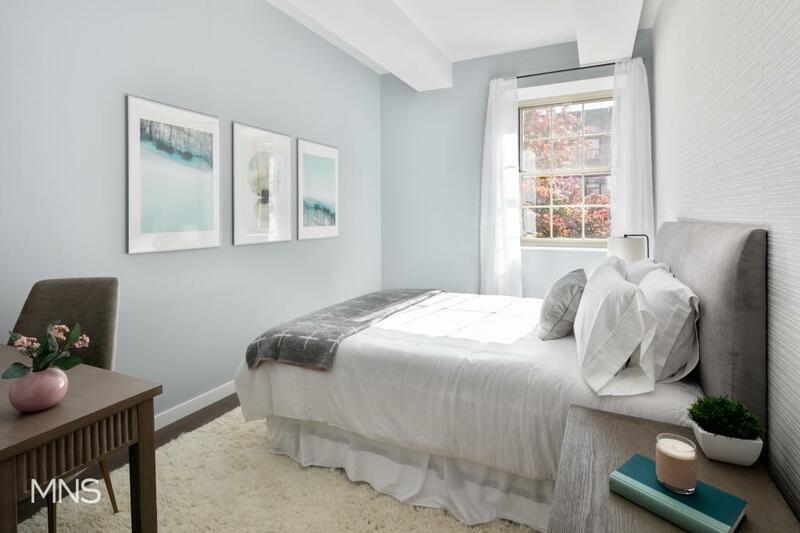 Three generously sized bedrooms are accompanied by multiple closets, including one grand, walk-in-closet. 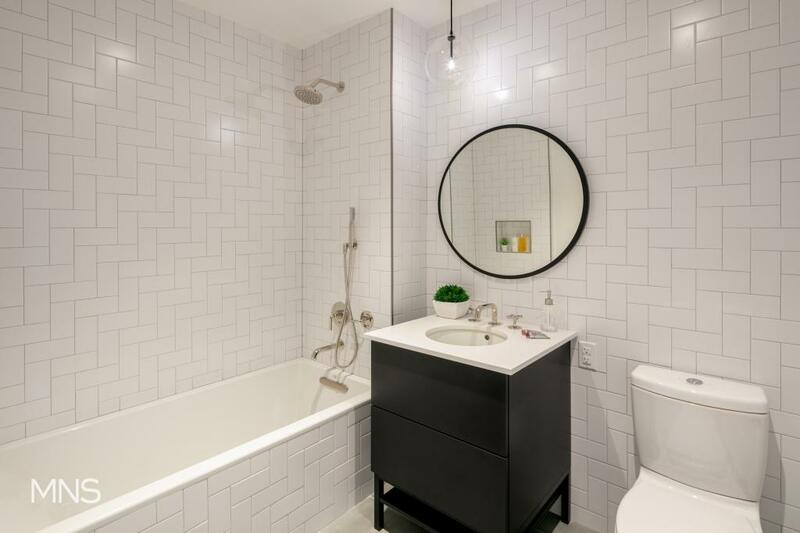 The elegant, spa-like, 4-piece master bathroom is finished with marble walls, custom vanities, Restoration Hardware lighting, and heated floors.